Swingology perform gypsy swing in the style of guitar legend Django Reinhardt. 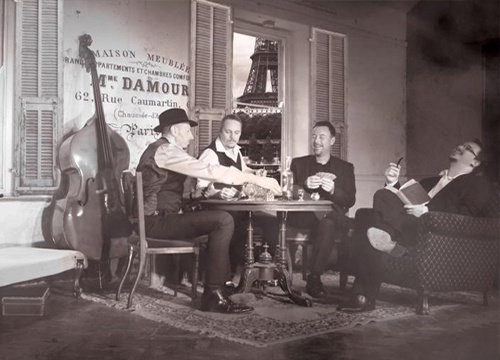 The swinging guitars and soaring clarinet solos are evocative of the soundtrack to 1940's Paris. Swingology will be performing as a quartet of two guitars, double bass and clarinet. Buy tickets for all of our gigs directly from us!